Girl Scout Troop 256 came to the OSU-Oklahoma City campus before the holiday break to donate several items for deployed soldiers. Supplies included handmade neck pillows and cards, games, notebooks, pens, snacks and Girl Scout cookies. 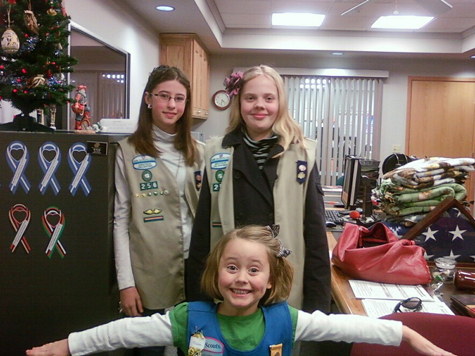 Pictured are three Girl Scout Troop 256 members. 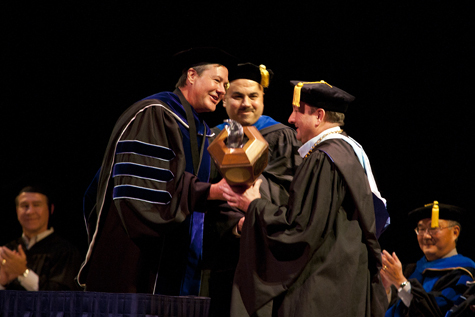 SWOSU President Randy Beutler receives the traditional mace during Beutler’s investiture as 17th president of Southwestern Oklahoma State University. The ceremony was held Dec. 8 on the Weatherford campus. Presenting the mace is Regional University System of Oklahoma Regent Richard Ogden (left) of Oklahoma City and SWOSU Faculty Senate President Dr. Muatasem Ubeidat. Also pictured are (far left) Weatherford Mayor Mike Brown and (far right) SWOSU Provost Dr. Blake Sonobe. Orange You Glad for Wreaths Aglow? Oklahoma State University’s Student Government Association sponsored the inaugural wreath lighting ceremony at Edmon Low Library in December to mark the founding of OSU on Christmas day 1890. 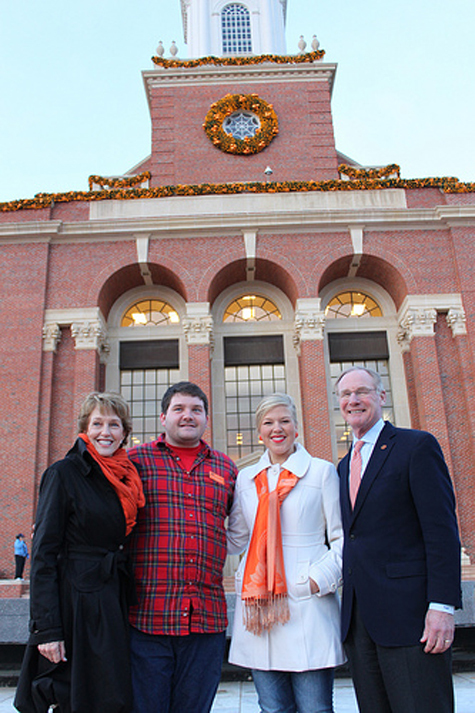 Pictured from left are First Cowgirl Ann Hargis, SGA Vice President Derek Barchenger, SGA President Kelly Offutt and President Burns Hargis.